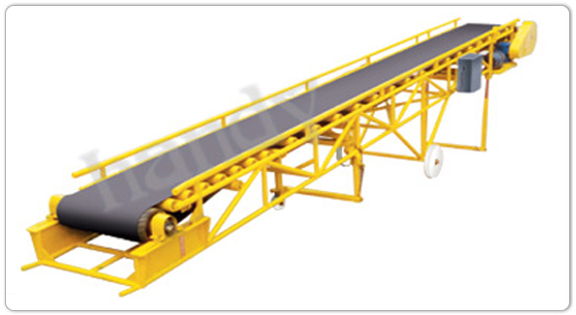 The model shown is a portable (On Wheels) bag Conveyor, specially designed for handling/loading of Sugar, Fertilizers & Cement bags in trucks and Railway wagons. These Conveyors being On Wheels, can be shifted anywhere in the plant quite conveniently and can be used in a line, so that the bags can be conveyed over long distance and stock piled in the godown. 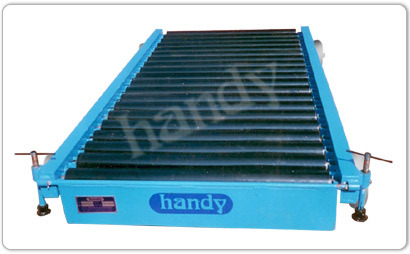 This conveyor is a necessity, where quick loading & unloading trucks & weakens or stacking of bags in a bagging plant is required. 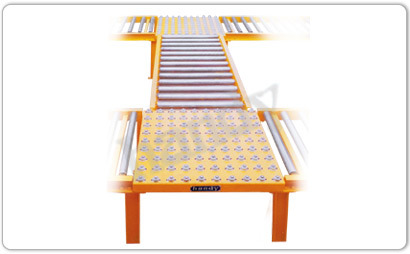 This type of free flow conveyors can be installed in plant to handle the material/ boxes from machine to machine our conveyor a long distance in godown/process house. Ball Tables can be installed in the mid where you have to change the direction of material/boxes.